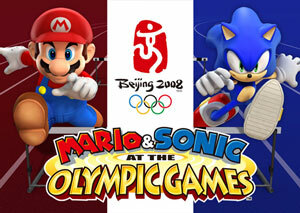 I won’t pretend to be revealing breaking news here; I’m sure you’re all aware by now that long-time rivals from Nintendo and Sega will finally be in a game together, titled Mario & Sonic At The Olympic Games. Frankly, I’m still getting over the fact that this probably isn’t some massive April Fool’s prank. I don’t have much extra to contribute to the topic, but I did want to point to an interview conducted by IGN with Mike Hayes (president and COO of SEGA Europe) and Laurent Fischer (marketing director of Nintendo Europe). It’s pretty straightforward early hype (a few too many “I don’t know”s and “it’s too early to tell”s for my taste), but at least it further confirms that it’s really happening.